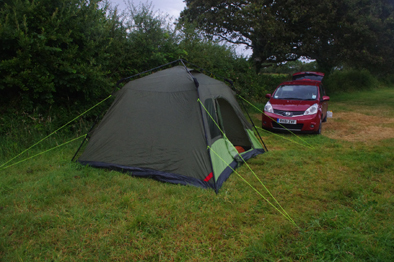 Yesterday I took the 1 minute tent to Dorset and camped at a small, very basic site at Owermoigne. In the morning I visited Weymouth once more as I had fond memories of the town when I visited it in June. It has one of the best public libraries I have encountered. Because of the free wifi access I was able to work unhindered for most of the morning and I donated a copy of the Peatmore Press novel, Victim of Compromise, to show my appreciation. 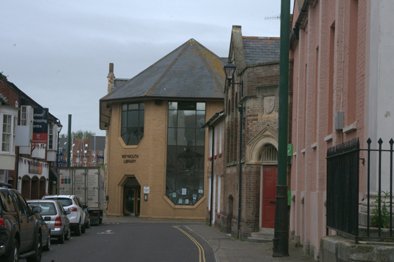 In the afternoon I visited the Cider Museum, which is a short distance from the campsite. There I gave the friendly owners three copies of Cogrill’s Mill to sell as the novel’s central character makes his own widely praised cider and it would be interesting to see how the books would sell in their farm shop. I also bought a litre of their dry cider. Unfortunately, I was unable to connect to the Internet at the campsite so I was not able to post my blog. This morning I heard the sound of Thunder and the weather forecast was for heavy rain so I broke camp (I’m sure it would just have taken the required minute to take down the tent if I did not have to wipe away the moisture from the overnight rain and due) and packed the car. Before I set off I returned to the Cider Museum and bought another litre of their tasty dry cider and some home made marmalade (I’m very partial to the stuff). I was pleasantly proud to find that Cogrill’s Mill was on display in their book section. They hold open days in the autumn so it will be good to visit there again when one is in progress. 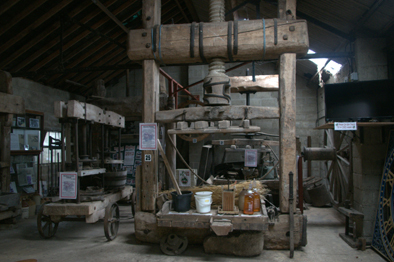 Information about the Cider Museum can be obtained from their website at www.millhousecider.com. On the way back to Surrey I stopped off at Bournemouth Public Library and donated a copy of Victim of Compromise. It seemed only right that they should have one seeing that a small part of the action takes place in the town. I was also pleased to find it yet another excellent library with very helpful staff, great internet access and an excellent place to study. Please support our British Public Libraries their contribution to our culture cannot be measured. It will be a tragedy if many are lost during the current round of Government austerity measures.